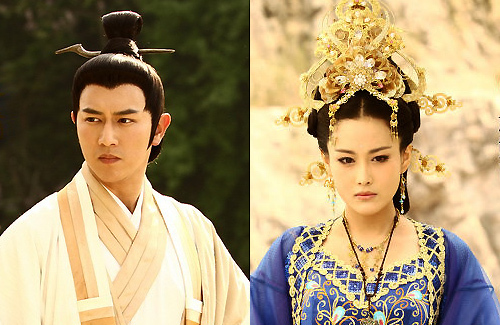 Above: Sammul Chan and Viann Zhang star in “The Investiture of the Gods”. When one hears the word “sage,” what often comes to mind is a feeble, white-haired old man who dispenses wisdom when he finds it convenient to do so. However, the upcoming period-mythological drama, The Investiture of the Gods <封神英雄榜>, will star 35-year-old Hong Kong actor Sammul Chan (陳鍵鋒) as a youthful and handsome version of ancient Chinese military strategist Jiang Ziya, who helped overthrow the Shang Dynasty when he was approximately 80 years old. In previous depictions, Jiang Ziya has traditionally been portrayed as a sagacious, elderly character. Not unexpectedly, some netizens are skeptical of Sammul’s attempt to turn the military strategist into someone more youthful, elegant, and handsome. In response, Sammul explained that in the drama, Jiang Ziya is a disciple of Taoist deity Yuanshi Tianzun and possesses magical abilities that allow him to alter his outer appearance into someone more youthful. 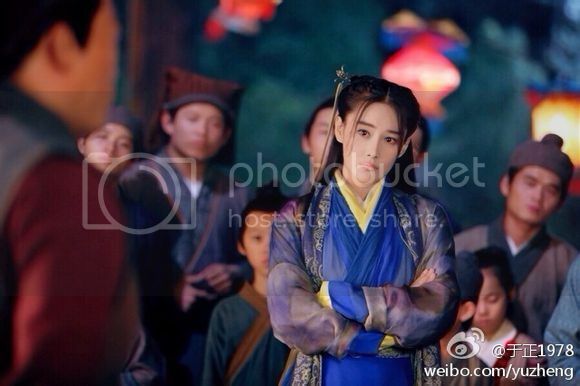 This new take on Jiang Ziya will also include a romantic subplot between the reputed military strategist and his incompetent wooer, Ma Zhaodi (Vular Jiang 姜鴻). Although Ziya is initially annoyed at Zhaodi’s pursuit of him, he eventually sees that they are destined to be together and promises to marry her. When he goes into battle, Zhaodi takes care of household duties and helps boost morale, and Ziya even uses his magic powers to support his family. Starring alongside Sammul is mainland Chinese actress Viann Zhang (張馨予), who plays Daji, a fox-spirit serving as a concubine of the last ruler of the Shang Dynasty. 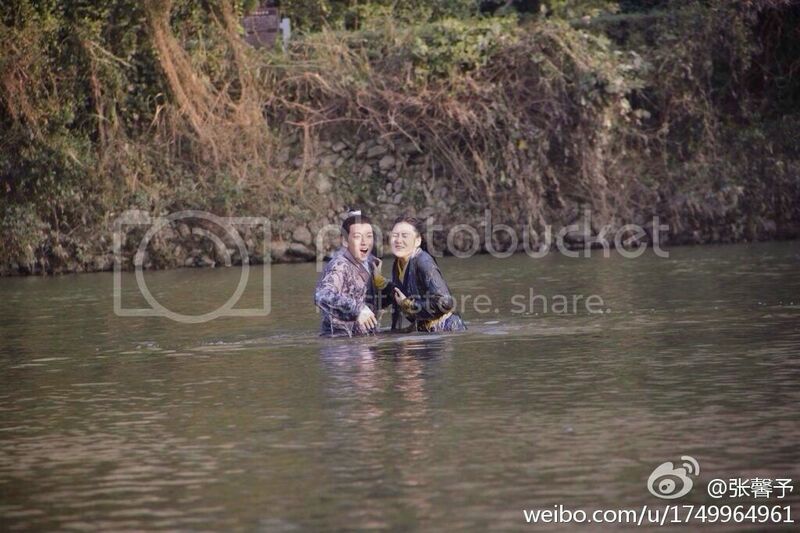 As a result, she and Jiang Ziya are bitter enemies, and their scenes together almost always escalate into battles. The Investiture of the Gods is currently in the post-production stage and is expected to air in early 2014. I am interested eventhough at first glance I thought Sammul will portray a youthful female beauty!! Ahhh Viann and her frozen glare is everywhere these days. Anyway a taoist guy wouldn’t go changing his old appearances to youthful appearance since I thought a sage is beyond outer beauty but relies on inner beauty? Sammul, wrong reasoning! A military strategist depends on experience and old looks sorta mean experience. Unless he means as someone young to act like some gigolo for the male army? is that it? This old dude sleeps his way up the military ranks? Now THAT is radical! I think he is referring to Present Day, where in general, modern companies are reluctant to hire old folks. I agree and why is the fake and frozen faced Viann everywhere? I wonder if she can even smile? I am not sure about her being Da Ji. Actually her face taken during the filming wasn’t more frozen than any other actress with plastic surgeries on face. all of a sudden viann is in almost every single drama that is coming out. for some reason i dont find Viann Zhang beautiful enough to play Daji. Daji is meant to be beautiful and gorgeous. Maybe because her beauty is fake and her face is frozen? Who do you think is a good candidate for Da Ji then? I personally enjoyed Fan Bing bing as Da Ji but did not enjoy Ruby’s performance. Luckily her role was not big in the 2nd installment and they changed the character. The overall flow of the story was still decent though. Yes I would have to agree that fan bing bing was excellent in the role of daji while ruby was okay. Bit overall ruby didn’t do a bad job. Not sure who I would pick to play this role but definitely not viann as she is not pretty even after all that plastic surgery. Well they changed the character to make it fit Ruby or something because she would have done worse if they left Da Ji as her actual self when she was taken over by the fox spirit. And vixen, which Viann is. She is pretty enough. Any better candidate? She looks sort of like one of my friends,except my friend is natural and never had PS. And? Is your friend a Chinese actress? No my friend is not a Chinese actress. She is just a normal citizen that just accepts her natural looks. Since your frd isnt an actress, she can’t be an candidate for a role :). So it isn’t a case. Viann isn’t natural but why you seem to hate her for such thing that much? She did it with a purpose to join the ent. circle where 8/10 girls are like her, under knife. At least she had successful PS to make her pretty. You can see a plenty of other actresses with obvious PS but still lie to their teeth, yet I don’t see you are tat hateful toward them like to Viann. Double standard? In short, PS shouldnt be the reason or you have to bash every single PS girl, not few. I personally do not care if actresses have PS but what I hate is that they have to lie through their teeth about it. It is not just against Viann only but she and Angelababy for example completely changed their face. But when they asked about it they say they are natural. Angelababy is even more stupid and says things like if her nose was fake then HXM would have broke it. They go all crying when people say their face is fake. If you had so much courage to go under the knife then why not have the courage to admit it? No I do not dislike just because she has a fake face. The vibe that she gives me really creeps me out. Also, other actresses that have had PS actually still look like themselves unlike her and Angelababy. Their bubble will pop when they have kids since their real genes will pass onto their kids. That is when they cannot lie anymore. Vular?!?! Is that even a name?!? Haha.. Exactly what I thought.. I am sorry but the name nearly rhyme with female body part. When I first read the name I saw ‘Vulgar’. I did a double take when I read it. Yup, when you type Vular, it auto corrects to Vulgar. But still can’t beat the Miss HK contestant who is called Hyman. Wonder if she knows what it is … Good thing her surname is not Tong. no matter how good looking that artist are, I find Mainland Fantasy to flop for me. Agree there’s something wrong …always…lol…. I think it depends on the series. I have seen a number of them that are pretty good. I hope not and hope that Sammul has better taste then that frozen face. I love the story of Feng Shen Bang and enjoyed the 2006 and 2009 adaptions but not sure about this one. I think they are truly out of ideas and have to pick such classic stories to make ridiculous changes. If they like to make changes that much then why not just write their own story? I just do not get it. Young Jiang ziya isnt the original idea in this series. In fact the young Jiang ziya was used several times in a number of works before. For example, in the manga Houshin Engi, Jiang ziya isnt only young but the mangaka also pull modern factors in (still great manga). Both of 2006 and 2009 versions are not loyal adaptation for the novel. They put changes on them, too. It isn’t a big deal to have changes. Honestly, even the outfits are not right. I do not mind changes because no adaption is or can be 100% accurate to the novels. But the changes should be reasonable. I should ask my mom since has read the novel several times and loves it. Since she liked the 2006 and 2009, the changes should not be that bad but she did complain about certain parts so I know some changes were not good. 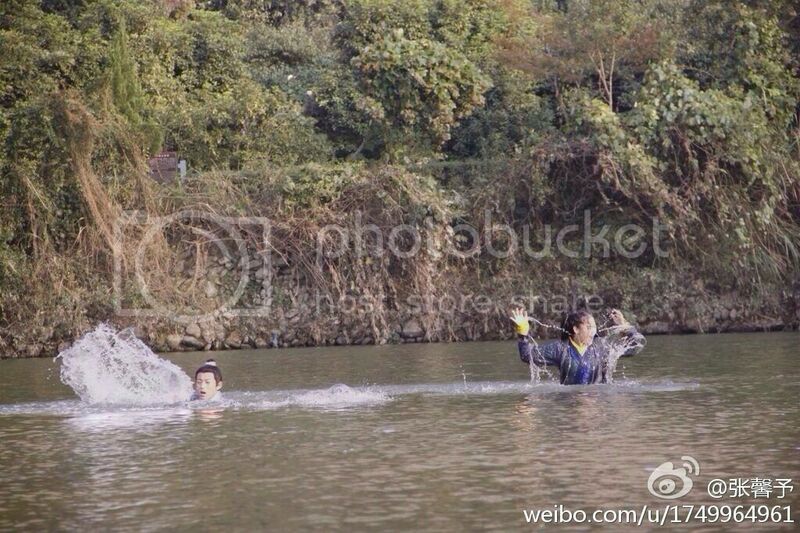 I did not know that the young Jiang Ziya was used before since I do not follow every adaption of this story. I should read the novel again myself but am too busy too now. It has been years since I have read it. Another adaption? I’ll check it out cause Viann is hot lol but Feng Sheng Bang is one of my favorite productions.